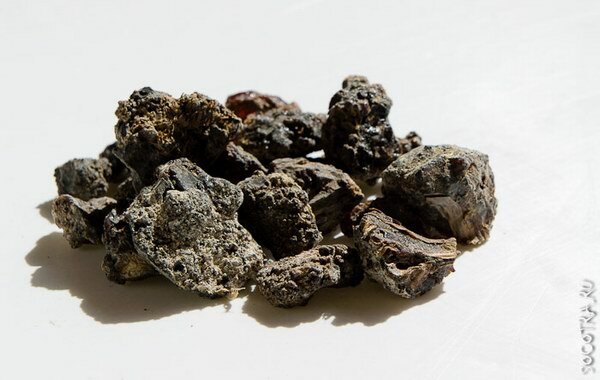 Many Commiphora species were known for their medicinal properties, and exhibited interesting biological activities such as anti-inflammatory, antibacterial, antimicrobial, antioxidant, hepatoprotective, smooth muscle relaxing, antimalarial, anticandidal, antimycobacterial, antischistosomal, larvicidal, molluscicidal, anticancer, antiulcer and hypolipidemic effects. In folk medicine on Socotra, Commiphora species are among the most important medicinal plants. 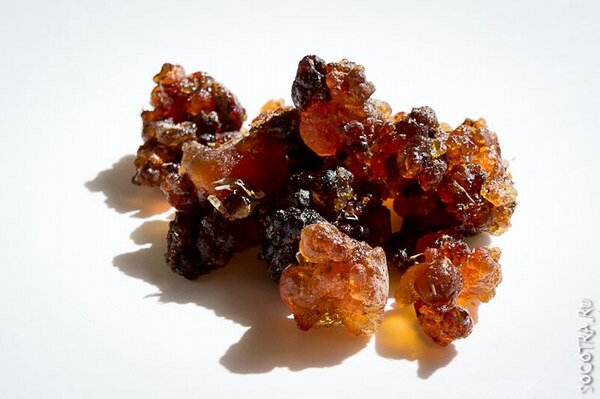 Powdered resin of Commiphora kua is given in warm milk or water to a toddler or young child with sore stomach. 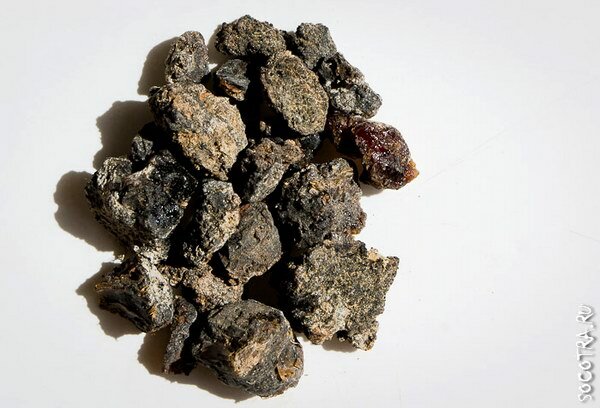 The scent is unique compared to other myrrh species and is reminiscent of heavy earth tones with subtle hints of balsamic and toffee. For use with charcoal burners. 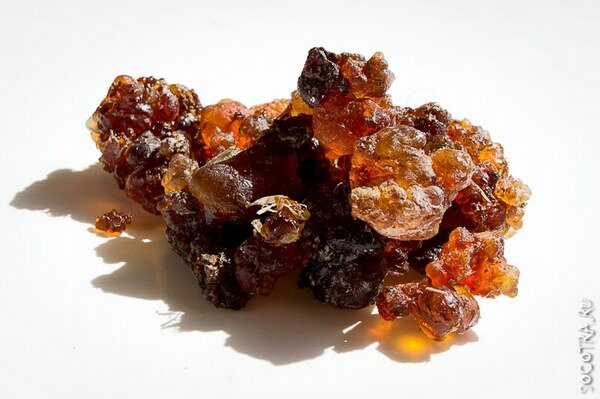 WARNING:Myrrh is NOT for pregnant or breastfeeding women (can cause miscarriage). Petrified resin is very rare. Has a more subtle smell.